The Chicago Tribune | Paul's Voyage of Discovery & Etc. The Vic & Paul Show is coming to Beverly Hills. Not Rodeo Drive in the 90210. We’re talking West 111th Street in the 60655. Yes, The Vic & Paul Show is going back to Chicago this summer. And this time, it’s a special homecoming for my wife, Victoria Zielinski – because the show The Chicago Tribune hailed as “Old school sketch comedy done right” will be coming to Vic’s old South Side neighborhood. 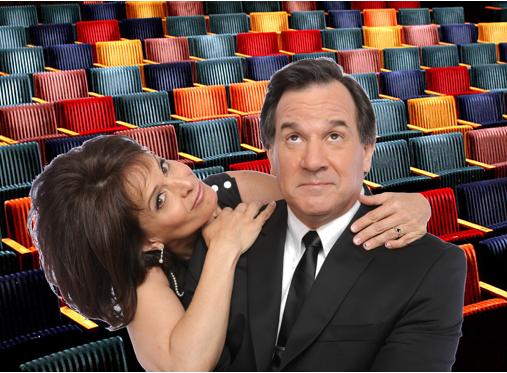 The brilliantly funny girl who grew up at 91st and South Hamilton will be performing just 20 blocks from her childhood home when The Vic & Paul Show runs at The Beverly Arts Center at 2407 W. 111th Street from June 15-24th, 2012. Talk about making us feel at home in Chicago after more than two decades. 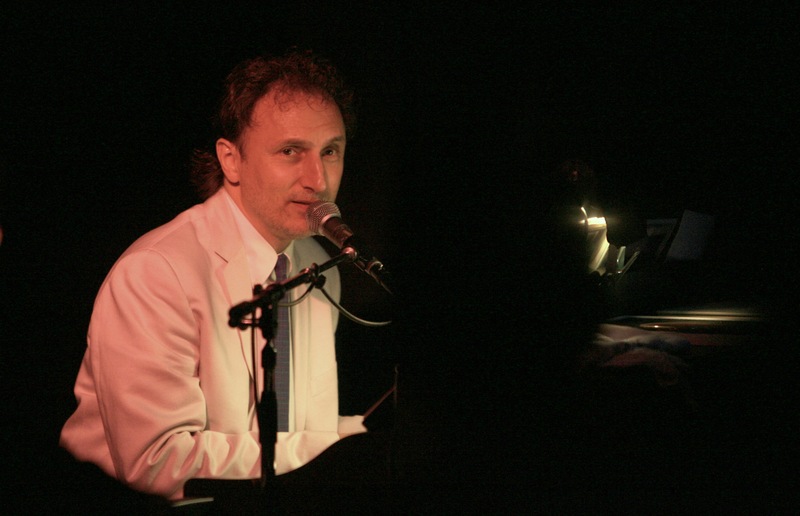 We’ve been having great fun trodding the boards once more with Steve at the piano, beginning with our June 2010 debut at Push Lounge in Los Angeles, directed by our good friend and another NU alum, Evanston’s own Shelly Goldstein. 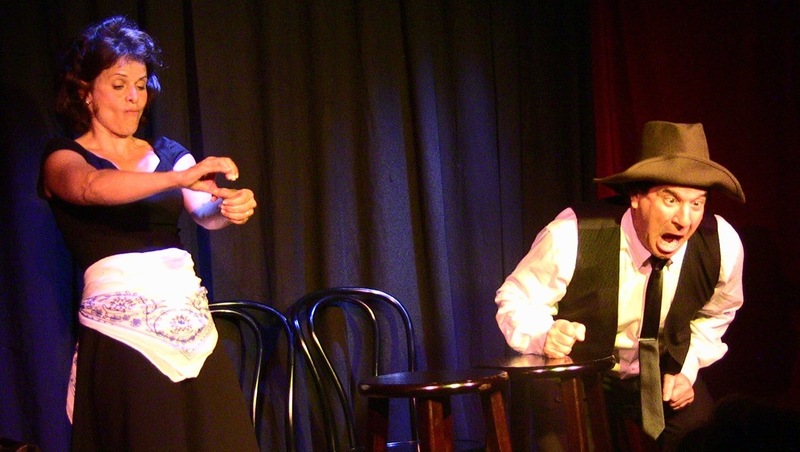 A year later, we brought The Vic & Paul Show to Chicago for the first time at The Prop Theatre in June 2011, followed by a great holiday season run at Mayne Stage in Rogers Park. 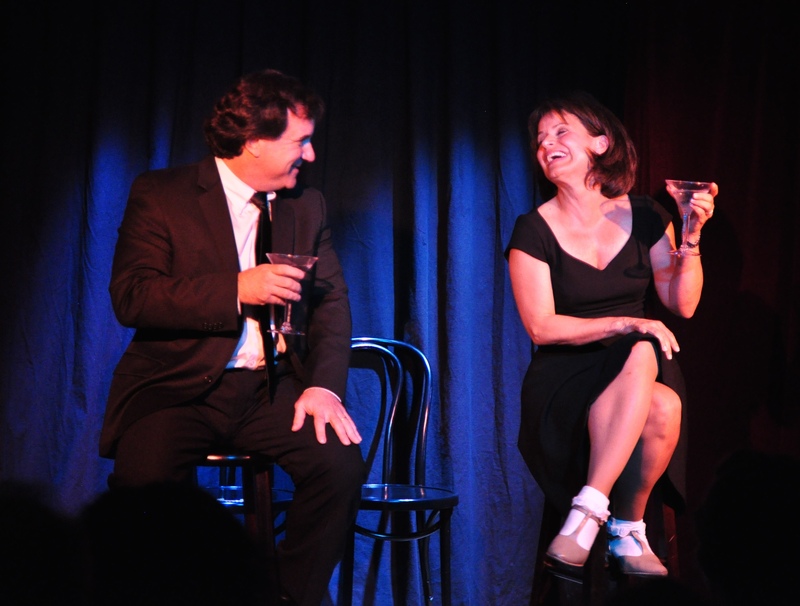 Now, we’re taking our “Evening of Comedy, Music, Marriage & Martinis” to Vic’s old stomping grounds in Beverly. If you live in the Chicago area and you haven’t seen The Vic & Paul Show yet, we hope you can join us at the 400-seat Beverly Arts Center for this run. 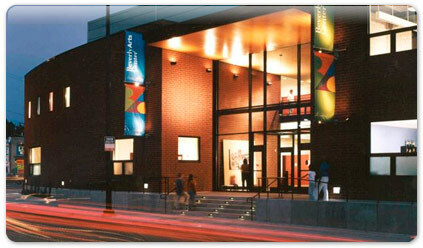 It’s a wonderful venue for the show – and you may want to get there early to check out the rotating exhibitions of contemporary art in The Beverly Arts Center’s four gallery areas: second floor East Gallery, Bridge Gallery, Theater Gallery and Atrium. 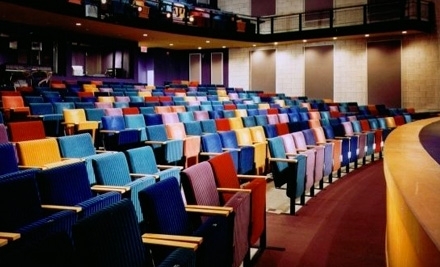 These exhibits are free and open to the public. 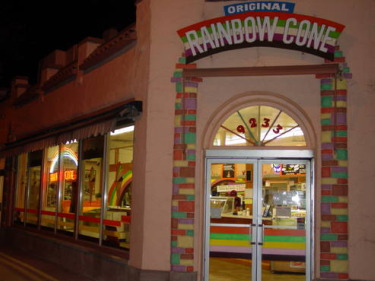 After the show, you can enjoy the best of Beverly, including some of Vic’s girlhood haunts, like Fox’s Beverly Pizza Pub, or a magnificent frozen summer treat at Rainbow Cone on Western and 92nd. And, according to Wikipedia, Beverly is home to more Irish-style pubs than any other in Chicago. Satisfying after-show options abound! Okay, I know what you’re thinking. 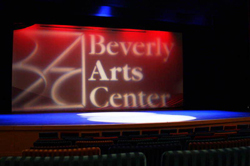 Sure, The Vic & Paul Show is crazy funny, The Beverly Arts Center is obviously a great place to see a show, and all those Irish pubs sound like a guaranteed good time – but how in the world did Vic’s old neighborhood get the name Beverly Hills? 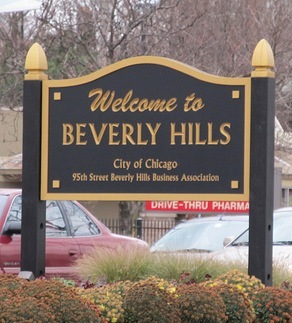 That’s because Beverly is the only area in the City of Chicago that has hills: in fact, it’s located on the highest elevation in the city! So, this June, it can truly be said that The Vic & Paul Show has reached the top. 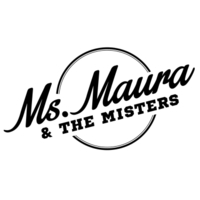 Join us at the topographical summit of Chicago for two weeks of grown-up fun: sophisticated and irreverent improvisational sketch comedy and songs performed in a splendid theatre in a vibrant, historic neighborhood. And did I mention Vic grew up there? 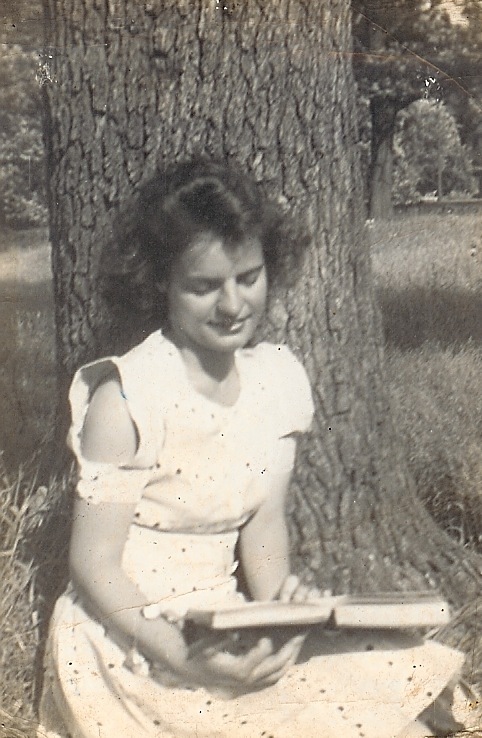 My darling mother-in-law, the witty, beguiling and wonderful Mary Zielinski, passed away early on the morning of December 26th at the age of 88. Mary is one of the Greatest Generation – a woman born to immigrant Greek parents who overcame the Great Depression, graduated from college, established herself as a professional woman in the late 1940’s, married a doctor serving in Patton’s Army, lived in post-war Europe during the Occupation, and returned to the Southside of Chicago to raise her family. 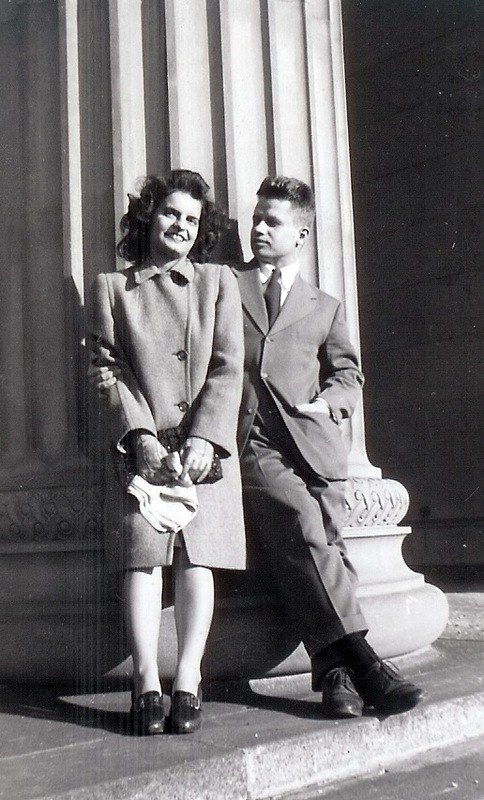 Mary & Victor, Young and Fabulous. I’m a lucky man, indeed, to have had the good fortune of being Mary Zielinski’s son-in-law. For those of you who knew Mary, here is the obituary that will appear in The Chicago Tribune on Monday and Tuesday, December 27 and 28, 2010. Mary Zielinski (nee Kamberos) beloved wife of the late Victor. Loving mother of John, Christine (Jon) Noffsinger, Victoria (Paul) Barrosse and Anne (Keith) Schaible. Cherished grandmother of Matthew, Michael and Peter Schaible, Maura Murphy-Barrosse, Emilia and Evangeline Barrosse, and Rebecca and Zachary Noffsinger. Dear sister of the late Helen (the late Ken) Cooney, Mary D. (the late Constantine) Kamberos, Irene (the late Emil) Simich and Constance Kamberos. Mary was a loving aunt, great aunt and friend to many. Funeral Service Wednesday 10am at St. Nicholas Greek Orthodox Church 10301 S. Kolmar Ave. Oak Lawn, IL 60453. In lieu of flowers, memorials to St. Nicholas Greek Orthodox Endowment Fund are most appreciated. 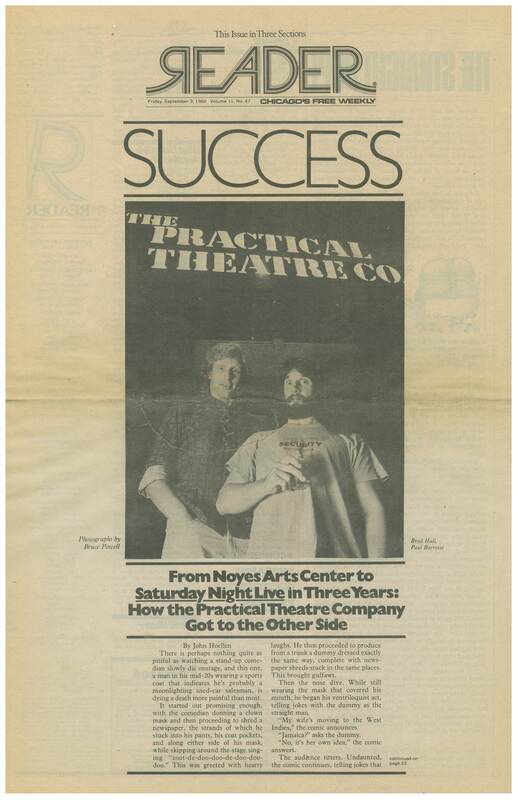 THRILLS & GLORY: THE BRIEF, BLESSED HISTORY OF THE PRACTICAL THEATRE CO.
To read the latest chapter in my personal history of The Practical Theatre Company, click here. After you’ve read our ancient history, you can check out video clips of far more recent PTC-style comedy if you click here.